Health care providers estimate that between 2.4 million and 5.5 million individuals in the U.S. are living with dementia. As you or your parents get older, you may be worried about the risk of dementia and wonder if you or they need to be screened for cognitive impairment, a risk factor for dementia that affects 10 to 20 percent of all people ages 65 and older. Mild cognitive impairment can be thought of as an intermediate stage between age-related cognitive decline and dementia. Lapses in memory occur more frequently than they do with age-related decline, but not enough to interfere with everyday life. Understanding the symptoms of this condition may help you start discussions with your provider about whether a comprehensive screening is necessary, and if there are strategies you can employ to halt the progression of mild cognitive impairment. 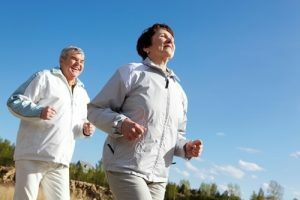 If you or someone you know starts to show signs of mild cognitive impairment – such as trouble performing more than one task at a time, recalling recent events and conversations, solving complex problems or making decisions – talk to a doctor about whether screening for the condition is warranted. There is debate, however, as to whether there is sufficient evidence to support screening when symptoms are not clearly evident. To date, there’s no definitive test to evaluate patients for cognitive impairment. Screening patients for this condition may involve reviewing medical history, collecting input from friends and relatives, assessing mental and neurological functions, conducting blood tests and ordering brain images. Given the uncertainty surrounding screenings for mild cognitive impairment, the question then is whether it is better to invest your energy into preventing or stopping the condition from progressing. As with any health condition, prevention is the most effective and cost-efficient strategy. At last month’s Alzheimer’s Association International Conference in Copenhagen, discussions focused on preventing or delaying the onset of Alzheimer’s disease. Neurologists are learning that changes in the brain related to Alzheimer’s disease start occurring decades before people begin to show symptoms. Once symptoms appear, it may already be too late to alter the progression of the disease. Preliminary research has found that for patients with moderate to severe mild cognitive impairment, closely following a Mediterranean diet may significantly slow the progression of Alzheimer’s and other types of cognitive decline. taking part in regular aerobic exercise. We often work with our members to develop an individualized and personalized plan for behavioral and lifestyle modifications that can help slow the progression of disease. With growing concerns associated with cognitive decline in aging members, the findings of a potential slowing of the progression of mild cognitive impairment to Alzheimer’s disease can be a significant motivator.